How the fundamentals of yoga will prepare you for being a yoga instructor. Teaching yoga is an art that’s developed over years of experience, but it all starts with the basics. Without mastering the fundamentals of yoga, you can’t expect to master the art of teaching the practice to others. One of the most common questions we have in our yoga teacher trainings is how to identify and correct improper alignment. While, yes, a 200-hour training will better prepare you to identify improper alignment, the only way to be sure you’re properly assisting others is to master the fundamentals yourself. By refining your personal yoga practice, you optimize the positive benefits you receive from yoga. By practicing the fundamentals of yoga, you’ll receive not just physical alignment benefits, but also find alignment with your breath, your attitude, and the way you want to live. In a classroom setting, you have only a few moments with each of your students to correct an imbalance or aid in an injury, and being aware of the correct alignment and the basics is crucial. If you are a master of the foundations of yoga, you are better equipped to teach and share your love of yoga with others. Mastering the basics will also help you properly demonstrate the poses, providing the appropriate example for your students before moving around the classroom to help them adjust. And by focusing on breathing, the most crucial element of yoga, you can help your students flow safely and easily through the poses. In his Back to Basics 6-week series and as a 200-Hour Teacher Training Instructor, Joe Taft helps his students return to and master the basics of yoga, better preparing them for a future of teaching. The series goes through a set of principles that you can learn and apply to the classroom to better assist your students. Simplifying the practices and mastering the basics also helps you to instruct the less experienced students without intimidating them, and allows you to provide advanced modifications for advanced students. In a nutshell, everyone can benefit from learning the basics — whether you’re just getting started or you’re an experienced yoga instructor — each time you return to your roots you’ll learn something new. And that deeper awareness will not only help make you a better yoga instructor, but it will also help you to live your life more fully. Taking one of Kimberley Puryear’s classes is to get an hour-long education in authenticity and self love. The moment you lay out your mat in her Tuesday evening Yin class, you are welcomed by Kimberley with a smile (usually followed by a funny one-liner). Although the class is always packed, there is a sense of individual attention paired with the comfort of being surrounded by people looking to find balance in their body and mind. The same personalized attention that goes into her class is applied to her work as the lead instructor of the 200 Hour Teacher Training program. 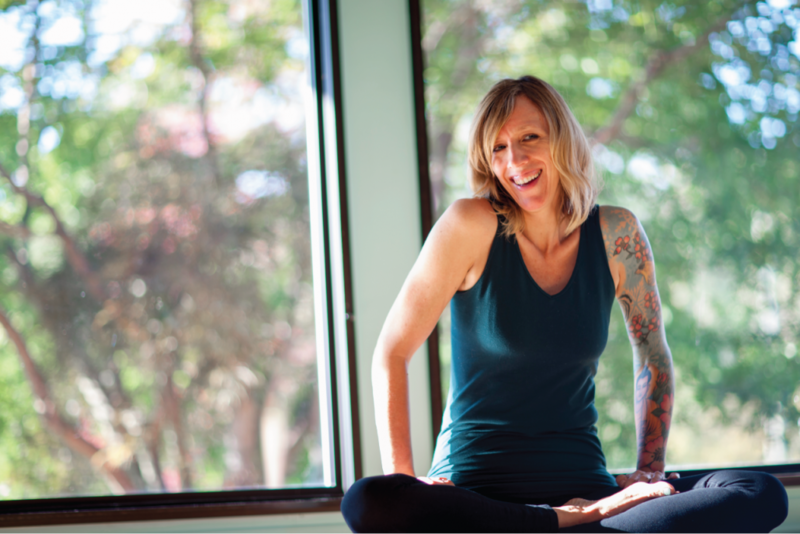 Testimonials from 200 Hour TT grads flow in, praising her ability to connect with students and pass on her knowledge as both a yoga instructor and practitioner. With her workshops, Teacher Training expertise and popular Yin class, Kimberley is one of AYC’s most invaluable family members. Kimberley was first drawn to yoga as her mother was diagnosed with terminal cancer. A friend who suffered from rheumatoid arthritis had been practicing yoga to manage her pain and recommended Kimberley join to help her cope with her mother’s illness. “She taught me basic stuff, especially breathing. I didn’t realize it at the time but I was learning breathing techniques not only for myself but also for my mother, to help her pass peacefully.” Kimberley was especially drawn to yoga’s ability to calm, soothe, strengthen and heal. Her exploration of balance within her own life and practice influences her teaching style, making her an incredibly relatable mentor to the hundreds of students she teaches each year. “I have been learning for 10 years and teaching for 10 years and I’m just now starting to understand what my practice is,” she says. “It is trying to be strong, fluid, radiant and peaceful. It’s trying every day to really pay attention through my practice and meditation, which of those parts is out of balance.” Her unsurprising success as a yoga instructor stems from this innate ability of hers to adapt, connect and admit that she’s just another person trying to navigate this crazy world. 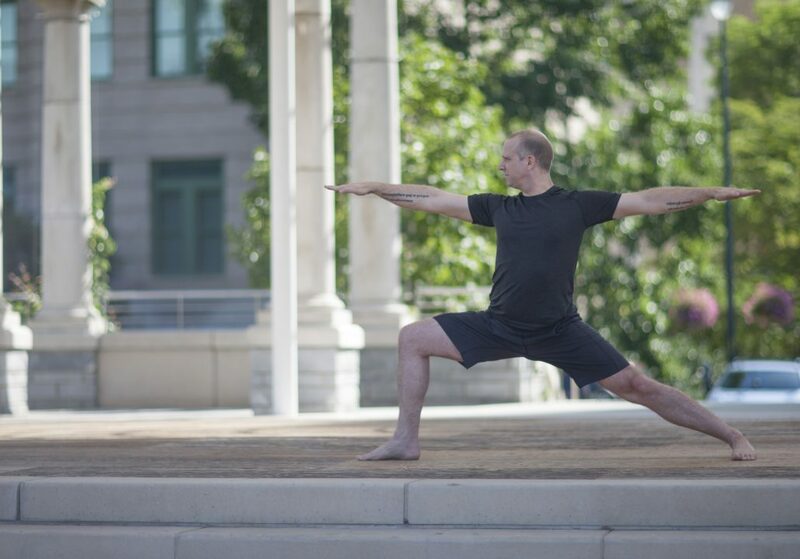 Michael Johnson is a compelling mix of creative yoga instructor and curious student of the mind. The root of his interest in meditation lies in its ability to help with neurological disorders and for developing wellbeing. Michael’s worldview and meditation practiced changed when he read Buddha’s Brain by Rick Hanson and Richard Mendius. In this book, they explain how we can literally reshape our brain for greater happiness, love and wisdom through a combination of modern science and ancient teachings. Implementing these teachings into his own life, Michael eventually divested himself of the dogmatic & religious interpretations of meditation and instead focused on a more scientific approach. Mettā Meditation, begins October 13. According to Michael, “Mettā means the combination of kindness, compassion, gratitude and patience-all in one. It is a meditation technique used for developing these states so they can occur with greater ease and frequency.” When you look at it from a neuroscientific perspective, cultivating these positive emotions proactively builds new connections between neurons, increases gray matter in key areas and primes our consciousness to respond with kindness for the next person you meet as well as the person you’re trying to heal a relationship with. “Vipassanā is more like pruning, ridding ourself of weeds or bad habits that have accumulated in our mind. So the two meditation techniques go hand in hand. One is like clearing weeds and the other is for planting seeds.” he says. Find out more about how you can develop inner peace, better relationships and a positive outlook on life by registering for the Mettā workshop at youryoga.com. Also interested in the advantages of the combination of pranayama and music during a practice, Michael and his wife, Stephanie, formed a project called Ösel to share their love of music and kirtan. Ösel provides original music with creative rhythms using a wide range of instruments, traditional Sanskrit mantra and poetry. Each album is 108, 120 or 130 beats per minute to compliment Ujjāyī breathing. Their albums are available for purchase in the Asheville Yoga Boutique. Their next Kirtan at AYC is Oct 8th from 2-4pm by donation. Michael understands that for beginners, it can be difficult to consistently make it to yoga classes. His advice to new practitioners is “Doing anything for the first time takes a lot of courage. There are a million reasons not to, but if you can just get through the door, take the class and have the experience, you’ll find it’s totally worth the time. It also helps to come with a friend. A lot of people come to yoga class, not to prove anything, but rather to feel a sense of connection and peace of mind that’s hard to get anywhere else. That’s, I think, why people keep coming back to classes.” So if you’re feeling a bit lost in finding your stride in your practice, or even are an established yogi looking to further the depth of your practice, we here at AYC recommend you attend any of Michael’s classes and workshops. He has a massive following of dedicated students not only because of his wisdom and experience as an instructor, but also because of his raw understanding of what it means to be human with all of the complexities of attempting to successfully navigate our emotions and this world we live in. Find out more about the services he offers and his class schedules at clearlightyoga.com and youryoga.com. Hatha Yoga does an amazing job at strengthening, stretching and detoxifying the body, while helping to replenish and rejuvenate all the internal glands and organs. Yet for some, it may not be enough for full wellbeing. Yoga has a sister, her name is Ayurveda (both born in India). If Yoga’s original purpose was to get your body prepared for spiritual practice, then Ayurveda takes over from there with an expanded and balancing view of wellbeing. Ayurveda is the Healthcare system of India. Ayurveda’s main purpose is to prevent illness and promote longevity by seeking balance. According to Ayurveda, the key to vibrant health is understanding how the elements operate within you, your environment and every aspect of your life. Adjustments in lifestyle and daily routines can be made to balance and harmonize the elemental tendencies in each individual. Like Yoga, Ayurveda deals with what supports and doesn’t support us. Ayurveda goes beyond Asana (postures) and Pranayama (breathing exercises) to balance tendencies in order to heal the sick and maintain wellbeing in the healthy. So, I strongly encourage everyone who loves the health benefits of Yoga, to try out her sister, Ayurveda. Wellbeing is not merely an absence of diseases but is defined as a state of joy in the soul, mind, and senses. Come spend a weekend with Dr. Scott Blossom, Ayurvedic Counselor, Yoga Instructor and Chinese Medical Professional. Plus, Stephanie Keach was his first Yoga teacher, way back when, so the love runs deep here people! Asheville was #1 in Yoga Journal’s “10 Towns with Top-Notch Yoga” and was listed as the #1 “Coziest Cities in America” by Elle DECORE magazine. Asheville area is world renowned as a bustling tourist destination, named one of twelve must-see travel destinations in the world by Frommer’s travel guides. The Blue Ridge Parkway, which connects the Great Smoky National Park with the Shenandoah National Park and runs right through Asheville, is a great launching point for hiking and biking, or for those looking for a scenic picnic at an overlook. https://www.youryoga.com/wp-content/uploads/2018/03/c6a1dba8-da0e-4dca-b794-b93ffdf0983e.png 417 650 integritive https://www.youryoga.com/wp-content/uploads/2018/06/Asheville-Yoga-Center-Logo.png integritive2016-02-22 00:00:002018-08-16 10:22:32Is Yoga Enough? One of the most beautiful aspects of yoga, is that it invites practitioners from all backgrounds, ability levels, and personal goals to share in the benefits of yoga and hopefully even transform the world towards peace and goodwill. 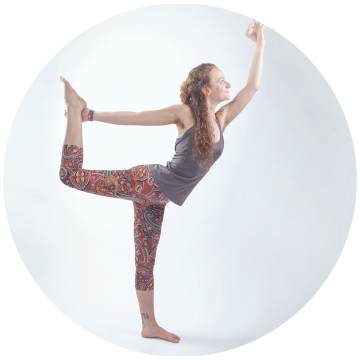 The most popular style of yoga at the Asheville Yoga Center is Flow Yoga, (traditionally also called Vinyasa). And the two most popular sub-sets are known as SlowFlow and Power Flow. As with many aspects of yoga, there are deeper benefits and qualities to these two forms than at first glance. Slow Flow Yoga, in some ways, has more traditional roots going back to Viniyoga (Desikachar, founder). This style usually provides poses that range from gentle to challenging, but done with stable, self-centering energy. The pace of these classes is understandably slower and emphasis is placed on safe alignment and the maintaining balance of the slow breathing. This style can vary tremendously in its speed, with some classes preferring long, silent periods of reflection and static holding during each pose, and others opting for a more fluid experience (with possible frequent bursts of energetic sequencing to raise energy). The toned-down speed of these classes does not, however, mean that the poses are any less beneficial for building strength, stability, and postural integrity than other styles. This slower pace is definitely more conducive to the meditative practices of mindfulness of action and awareness of breathing. This makes it particularly well-suited to newer students, or for those who desire deep concentration within their practice, most conducive to Slowing Down (hence the name). Power Flow Yoga, or often Power Yoga, takes its inspiration and core from Ashtanga Yoga (Pattabhis Jois, founder). This style relies much more on synchronized breathing with each movement to produce beautiful, flowing patterns of motion and energy. As you may have guessed from the name, Power Flow techniques tend to be more vigorous than Slow Flow, and we generally recommend that practitioners are capable of enduring a higher rate of physical activity and heat in their classes. All Power Yoga classes are not necessarily heated, but internal heat is a big benefit of this style, helping with overall detoxification, cardiovascular fitness and weight loss. With a foundation in Sun Salutations, Power Fow is often considered the “most athletic style” of yoga out there and attracts such clientele. At first, it\’s all about seeking the workout, but eventually, by the end of class, not only has the body slowed and calmed itself, but so has the breath, heart, and mind. Both styles are designed to transform the way you think, feel, and move, increasing physical capabilities in tandem with the mental. They promote anxiety relief, self-growth, and continual advancement toward your own goals, offering benefits as long as you remain conscious and active during your practice. We play music at our studio, which helps to set a rhythmic tone to the movements of theFlow practice. We recommend newer students or those with physical fitness concerns to enroll in Slow Flow yoga classes before attempting Power Flow, as there are a wealth of benefits to be found in the tranquil, focused techniques of this style. Those who are returning students or seeking an experience that heightens physical challenges, weight loss, or a more workout-centric style should consider looking into Power Flow classes, but will still find ample reasons to pursue either form. Listen earnestly to your body, breath and mind, to deepen your sense of progress on your journey before making a final decision, and if still in doubt, feel free to contact our studio for assistance. I have the genetics for flexibility, which makes Yoga a dream job. Except that flexible people get injured in Yoga three times more than non-flexies. We apparently go too far into the stretch, injuring the tissues around our joints. Yup, I see it all the time. But lucky me, I “found” a style of Yoga early in my Yoga career that complemented my flexibility and built the much needed strength around my joints called Ashtanga Yoga. It was in Santa Barbara, CA in 1992, in John’s danky basement with space heaters. I would later drive to Encinitas to study with Tim, and it was also a danky basement with space heaters. These were definitely the low-budget days of Yoga! But the benefits of strength building Yoga practice are beyond protecting flexibility. I am building bone density, I am comfortable in my strong body (long periods of sitting or gardening for example don’t “kill” me), and I am a strong woman. Not just muscular, but strong in spirit, and in Yoga. Body-mind-spirit are all connected. I had been practicing Yoga for several years before I found this style of Yoga, and besides the incredible strength it required (which humbled me to my very core), I was blown away by breathing deeply. At least it felt like this was the first time in my life that I ever even noticed deep breathing and how it made me feel. It was incredible. I am talking one of the top 5 moments of my entire life! Somehow, I awakened to the realization, while doing the traditional closing seated pranayama (Ujjayi- throaty breathing), that the breath wasn’t just “air in, air out.” It was energy, and I could literally feel it beyond my lungs, filling up my body. I could feel where the energy was stagnant or depleted and could use the Ujjayi to help heal and re-inspire that area. Oh yes, life transforming, like a million times more exciting than downward facing dog! For me, I like intensity and excitement. Not only is this practice intense and exciting (incredibly hard and challenging postures!) but the environment is intense and exciting. At least “back in the day” in those basements. I was told by John and Tim that they were trying to recreate the heat they found in Mysore, India, the birthplace of this practice. I loved it. As most of us Yogi-heat-seekers realize, the detoxification happening is definitely not just physical toxins but emotional, spiritual, and psychological as well. That heat combined with the practice itself can really transform things (cells, muscles, bones, thoughts, emotions, etc). This was the mantra of the founder, Pattabhis Jois. He wasn’t very fluent in English, but he sure chose his words succinctly! His verbatim teaching matches my own personal philosophy of life, which is highly influenced by Zen. About the same year I “found” Ashtanga Yoga, I also discovered Zen meditation. The main messages are so parallel: It\’s not about the goal. It’s about the journey and every single thing we do and think along the way. So wake up. Keep practicing. Every moment. This particular style of Yoga has one of the most amazing lineages of dedicated practitioners. It starts before Pattabhis Jois with Krishnamacharya, but then quickly finds many American devotees: Bryan Kest, David Swenson, Tim Miller, Kino MacGregor, to name a few. And ALL of these fabulous and kind people were influenced by one main American: David Williams. He is from Greenboro, NC and often comes to visit family and friends, and – being super blessed – I am one of his friends! This crew of devoted, old-school ashtangis are the best. I feel honored to call them my friends. And David will be at Asheville Yoga Center Sept 3 – 6, so if you want to try what Steph has used to sustain herself for almost 30 years, please come! All levels welcome. Register here. Teaching gives me the opportunity to be joyful with those around me. As humans, we aren’t always able to be present and kind to ourselves and others, but when we’re on our mats, we are all equal – we are all graceful, clumsy, learning, falling, succeeding and showing up. I taught in San Francisco for 6 years before I moved to Asheville. I started my career teaching 20 classes a week at 5 different studios! That didn’t last long…Now I’m happy to have been teaching solely at AYC for the past 2 years. What is your favorite pose at the moment? My favorite pose is, and always has been, half moon (ardha chandrasana). It makes me feel beautiful, strong, balanced, open and feminine all at the same time! What is your most challenging pose? Funny enough, my most challenging pose is revolved half moon (parivrtta ardha chandrasana). My upper and mid spine don’t like to twist too much so I’ve always found it challenging to stack my hips and rotate my shoulders at the same time in those opposite directions. What are some favorite songs on your playlist? I watched Boyhood recently. It was fascinating and so well done. Now, it’s my daughter. Before I had her, it was my strong and intelligent friends – taking on the world. Yoga is amazingly healing on all levels. It is a gift to share and anyone who feels called to should! What an incredible opportunity to dissolve boundaries, connect unconditionally on a soul-level, and explore the power of collective group energy with sacred intentions! I love all of the possibilities that teaching offers. I began reading the Yoga Sutras, the Bhagavad Gita, and all kinds of texts on yoga/meditation in college before developing any sort of consistent asana practice. I moved to asheville while dabbling in various spiritual practices with the intention to learn yoga and have been teaching here now for about two and a half years. Warrior 2! Lately I go into it and feel almost instantaneously empowered, energized, and focused. Handstand in the middle of the room. It reveals to me some limitations and work I need to do. Reading now: The Empire of the Summer Moon by S. C. Gwynne, The Shamanic Way of the Bee by Simon Buxton, and Learning to Silence the Mind by OSHO. It agrees with me. Every other line of work I tried I wasn’t very good at. I used to work so I could be a yogi in my off time. Now, I see work as a contribution to society and my community. It is an extension of who I am. I have explored many styles and facets of yoga. I first started teaching meditation as that was my first interest. My body was weak so I took up asana. I taught vinyasa flow sequences in college. When I decided to teach yoga full time I was initially an alignment teacher and now I offer a fusion of all my past teachers and methodologies including other wisdom studies like Qigong and Kaballah in The Roots Moving Meditations. Kneeling One Legged Blue Moon pose as my teacher calls it. You have to see it to know what it is. But it is really cool and fun. I find Chi and understanding Chi very inspiring as well as when people consciously try to be better at living their life. Some Like it Hot, Some Not. Hot yoga classes are one of the most popular styles of yoga in the U.S. today. Without debate, those that like hot yoga, really like hot yoga. Hot yoga isn’t everyone’s favorite, however. Whether it’s your thing or not, studies are showing while there are some amazing benefits to perspiring in your poses, it is important to understand how heat affects the body while exercising. The temperature of a hot yoga class isn’t a fixed number, it varies from studio to studio. Some studios call 85 degrees hot, while at the hottest end, Bikram classes are at 105+ degrees. Asheville Yoga Center defines our hot yoga classes as 90+ degrees. We also offer “warm yoga”, which has a thermostat reading of 80-89 degrees, because sometimes that feels more comfortable. Hot yoga got its start from Bikram Choudary, founder of Bikram yoga. This style of yoga involves holding postures for one minute in room with 105+degrees plus 50% humidity. It took root and grew in the U.S. (Hollywood, CA), in the 1970s and is still a widely popular style today, with Bikram himself still leading classes. Ashtanga yoga was probably the next style to adapt to a hot environment, as old school ashtangis wanted to replicate the birthplace of Ashtanga yoga: southern India, where it is 90 degrees by 8 AM! This style caught on in America in the 80s. Power yoga birthed from Ashtanga, so some power yogis decided to take the heat with them, thus the growth of Hot Vinyasa (flow) yoga. And this trend grew and grew to its mega popularity today. Hot yoga has a variety of benefits including: deeper detoxing, increased flexibility, improved cardio, and may even help with depression. Yoga postures themselves are detoxifying for the muscles, glands and organs and sweating increases that greatly. The heat increases joint lubrication as well as safer and deeper flexibility of muscles. Your heart can achieve great cardiovascular benefits in a yoga class (hot or not), whether holding and contracting muscles in postures, or moving through a Vinyasa flow class. The heat can help stimulate your metabolism so you are burning calories outside the room as well. Sweating has been proven to boost endorphins and boost immunity. The Massachusetts General Hospital Depression Clinical Research Program says that, “regular practice of hot yoga may regulate certain physiological functions that could contribute to the reversal of a depressed state.” In addition, those that suffer from Seasonal Affective Disorder could get some respite from yoga as it increases blood flow to the brain, increases energy. Anecdotally, some seasonal sufferers have reported a sense of warm weather well-being while in a hot yoga class; perhaps tricking the body into thinking it is somewhere warm and sunny? A study by the American Council on Exercise in July 2013 found that core temperatures for both the typical and hot classes fell well below the critical zone of 104 degrees. Although study participants perceived that the hot class was more difficult, researchers concluded that the hot yoga class was not dangerous for the average exerciser. While hot yoga offers great physical and mental benefits, some things to be mindful of are dehydration, dizziness, headache, mild nausea. If any of these symptoms occur, it is recommended to remove yourself from class and go cool down in the lobby. For dehydration-prevention: drink, drink, drink! This includes before, during and after class. Drinking coffee is not recommended as it is naturally dehydrating. To help with dizziness, try moving slower up and down, it is not imperative to keep up with the class if your head is spinning! Headaches can be caused from dehydration, detoxification or a myriad of other things. Often, exercise helps, but not always. Sometimes, exiting class is best. For nausea, try lying down, the floor is often cooler. Drink water. And perhaps exit the class as well. While these symptoms can occur in any style yoga class, all are common results of detoxification and are intensified in a hot environment. They are usually not harmful, just uncomfortable, so ultimately it is up the student to decide what is best for them: Hot, intense, detoxifying practice? Medium, warm, detoxifying practice? Cool, gentler, detoxifying practice? Luckily, Asheville Yoga Center offers all of the above.